"Addressing the environmental challenges of the future requires conducting integrative research and combining the expertise of a broad variety of experts. Supporting young creative and open-minded talents and fostering exchange among them should be key to talent management activities. 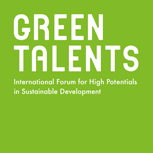 I therefore stongly support the Green Talents programme." Prof Georg Teutsch completed his undergraduate degree in Geology at the University of Tübingen. He then went on to obtain a Master’s degree in Hydrogeology at the University of Birmingham, where he graduated in 1980. Prof Teutsch began his professional career as a Hydrologist at the Ministry of Agriculture and Water in Saudi-Arabia, where he led the Groundwater Resources Group and National Water Plan Team. After defending his doctoral thesis on Groundwater models in karst terrains at the University of Tübingen, he was appointed as Associate Professor in Geohydrology at the University of Stuttgart. Following this, he accepted the offer of a Full Professor position in Hydrology at the Helmholtz Centre for Environmental Research (UFZ) in Leipzig. In 1998, he took up the position of Director of the Centre for Applied Geoscience (ZAG) at the University of Tübingen, where he worked until 2003. 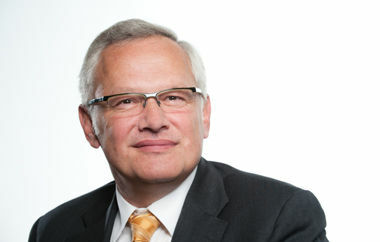 Since 2004, Prof Teutsch has served as Scientific Managing Director of the Helmholtz Centre for Environmental Research (UFZ), one of the leading research institutes in the field of integrated environmental assessment and a major hub for landscape-oriented environmental research with its headquarter in Leipzig. Prof Teutsch has over 38 years of professional experience both in academia and practice focusing on water resource assessment and water planning in a variety of environments, including semi-arid and arid regions, as well as groundwater quality and contaminant remediation using innovative technologies. He is a key advisor for the water research and environmental programmes at national, European and international level, was part of the German Commission on Water Research KOWA (DFG-Senatskommission Wasserforschung) from 2006 until 2015 and subsequently joined the Water Science Alliance e. V. in 2016, which is the succession association of KOWA. Alongside these activities, Prof Teutsch is a member of the Scientific Committee ICRA (Institut Català de Recerca de l`Aigua) and the Committee for Research, Strategy and Coordination of the Eberhard-Karls-University Tübingen. Since 2012, Prof Teutsch has been a member of the Saxonian Academy of Science based in Leipzig and since 2017 a member of acatech – the National Academy of Science and Engineering.